Trey Stokes of Pink Five fame has released a teaser trailer of his most recent project, a science fiction thriller web series called Ark: The Series, produced by Gabe Sachs and Jeff Judah of 90210 notoriety. Ark: The Series began life as part of a collaboration between digital media company 60Frames and independent graphic novel publisher Oni Press. If you have already fallen in love with the Alien-esque aesthetics, you’re in luck – Ark is supposed to release simultaneously as a comic book and a web series, each dealing with different stories in the Ark universe. 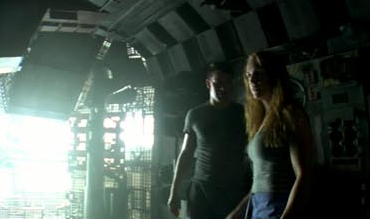 All we know about Ark: The Series is that it stars Renee O’Connor (Gabrielle from Xena: Warrior Princess), Adam Cardon and Marjo-Riikka Makela, and that it starts with a woman named Connie being waking up in a pod on a spaceship instead of her bed like she expected. Other than that, details are fairly sparse – which is why we were lucky enough to get some answers from Trey himself. 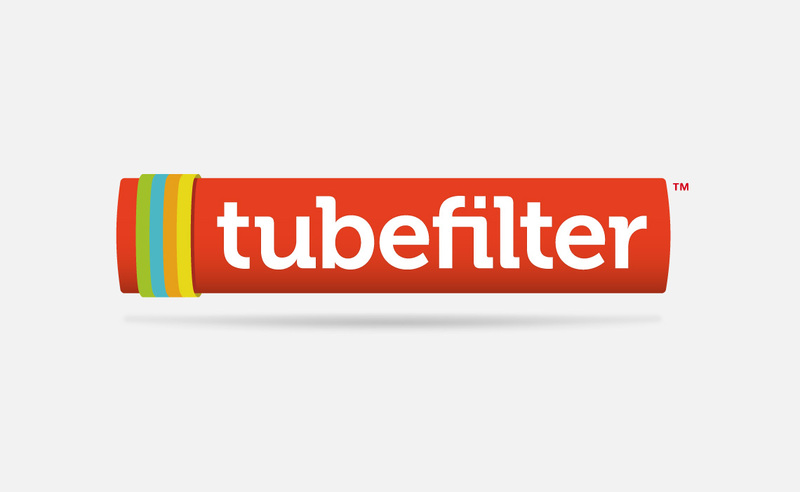 Tubefilter: What are the production plans? Do you have any estimate on when the show is going to start airing? Trey Stokes: The series is already shot – even though it’s serialized into ten episodes we shot it all at once, like a feature. There’ve been some insert shoots and dialogue looping with the actors, but the actual production is pretty much finished now. It’s mostly just post-production left and I’m doing nearly all of that myself – editing, audio, visual effects, etc. The only major component I’m not doing is the music. So far five episodes have been delivered to 60Frames, but I’ll probably go back and make some final adjustments to them once all ten are assembled. Ark is about characters in a situation where absolutely nothing is familiar to them. So the challenge is to keep viewers engaged in figuring things out along with the characters, without being completely confused. So once we’ve got all ten episodes put together, there may be final tweaks to make certain details more clear – or less clear – as needed. To my knowledge there’s no release date set yet. 60Frames is very excited about what they’ve seen so far, and they tell me Ark is already making the rounds to be bid on. So the release depends on whoever licenses it and what their plans are. Tubefilter: What’s the background behind the Ark: The Series? How is Oni Press involved with the production? Stokes: Ark was originally conceived by Robbie Thompson as – I believe – a series of graphic novels. It’s quite an epic story. I don’t even know all of it myself, but let’s just say that if Ark was a TV series, I do already know the surprise that happens in Season Five. I had to know where the big story is headed so the story I’m telling with the web series will fit into it. Robbie’s Ark concept was optioned by Gabe Sachs and Jeff Judah, and they brought me in to do a demo trailer. I shot that in my backyard with an actress named Milly Sanders – who later went on to make her own web series called Meet Me In the Graveyard, check it out sometime. The trailer made the rounds, eventually the project got picked up by 60Frames and they greenlit the web series. So I guess my role is the equivalent of a showrunner – I put the production together and am doing the creative supervision. But the web series is only one piece of the overall story, so I’m also laying the groundwork for revelations that are miles down the road, and might be revealed in another medium entirely. Many things in the web series may seem inexplicable, but nothing is arbitrary, there’s a reason for everything. Hopefully in whatever future incarnation Ark may have, something will happen and you’ll say damn, they set that up way back in the web series! As for Oni Press’s involvement – I’ve met some of the folks at Oni but I don’t know much about their plans. My focus is on the series and making it entertaining on its own, that’s plenty for now. Tubefilter: Tell me a bit about the casting. How did you end up with Renee O’Connor? Stokes: If you’ve seen the trailer, you’ve met the whole cast. Renee O’Connor, Adam Cardon and Marjo-Riikka Makela are our actors, though Ark has at least one more character who never really appears on screen but plays a key role. 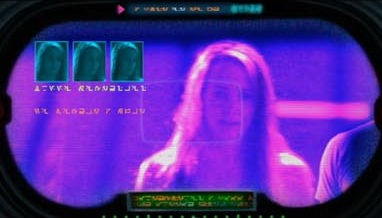 No, it’s not a HAL-like ship computer, that’d be far too easy. Getting Renee on board was just the luckiest of lucky breaks. We had no plans to go out to any “names”, but as it turned out, she found us. She heard about the project and was interested. So we met with her, even though I couldn’t imagine somebody with her experience would want to do our web series. In fact, I spent most of the meeting trying to talk her out of it. I kept talking about our tiny budget and ridiculously short schedule, because I didn’t want her to get mad later and kill me with a stick. She’s trained in that. But it turns out Renee directs and produces her own short films, she’s even done her own low-budget feature. So she was completely on board with our hey-gang-let’s-make-a-webseries attitude. And about halfway through the meeting it finally dawned on me that she was perfect for the role. So I gave up on trying to talk her out of it and just started hoping she’d do it. So Renee came on board somewhat unexpectedly, but Adam and Marjo-Rikka came to us the old-fashioned way, they showed up at the casting call and nailed the audition. The three of them made my job easy – most of the time I just got out of their way and said “action”. And Renee didn’t kill me with a stick, so I guess it worked out all right.